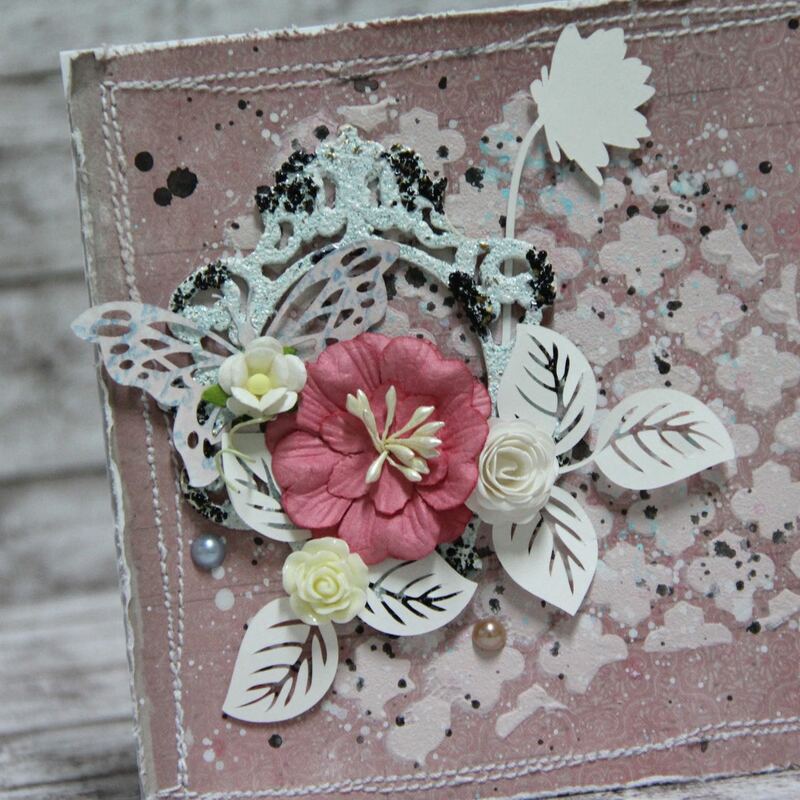 this card was made for Lindys stamp gang colour challenge. I used great frame from I KROPKA. This is mixed media card, I used embossing powders from Stampendous, Structure paste from Finnabair, acrylic paints and of course Lindys sprays. From Lindys I used Salt Water Taffy spray which I mixed with Structure paste and acrylic paint to make right colour for background structure. And Time travel teal spray which I mixed with white acrylic paint for background splashes. 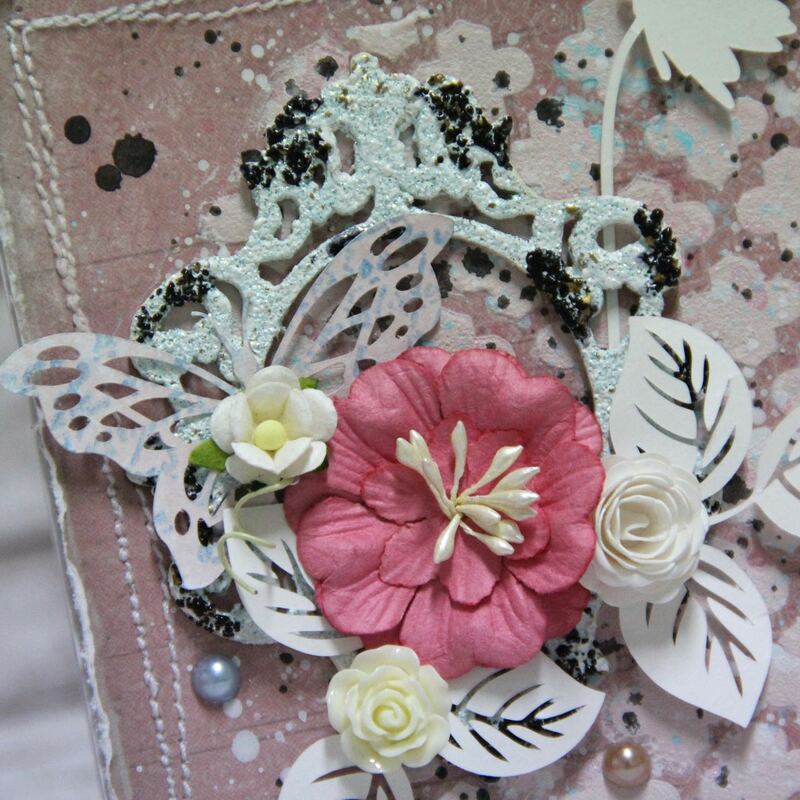 This entry was posted in Challenge and tagged cardmaking, Challenge, I kropka, mixed media. 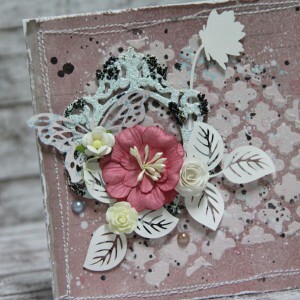 beautiful and delicate card ! 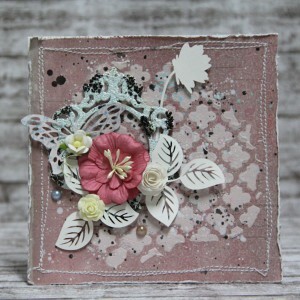 thank you for playing with Lindy’s Stamp Gang ! I love colors and stitches <3 Thanks for joining the Lindy's Stamp Gang Color Challenge this month!